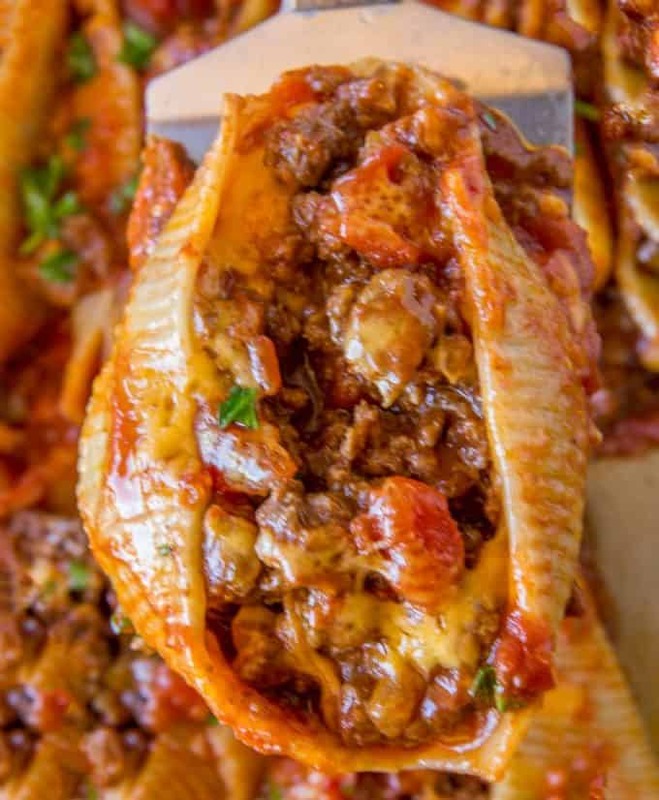 Cheesy Taco Stuffed Shells Made With Jumbo Pasta Shells, Salsa, Cheese And Taco Meat Are The Perfect EASY Weeknight Meal That You Can Prepare Ahead Of Time Too! 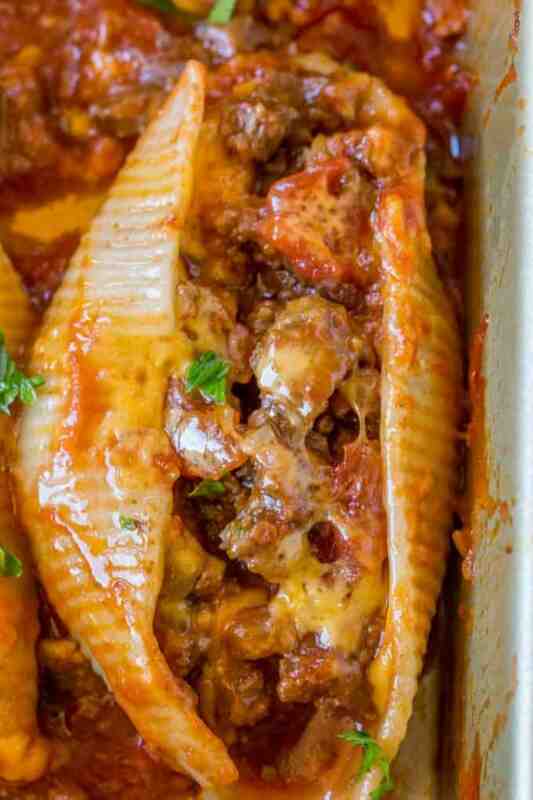 Taco Stuffed Shells are an easy dinner of stuffed jumbo pasta shells with ground beef. With just the addition of taco seasoning, salsa and cheese your family will be asking for this dish to go in your regular rotation. This is the XL take on my super popular Cheesy Taco Pasta! I love using either my Guapo’s Famous Fresh Pico de Gallo in this recipe or incredibly easy, store bought jarred salsa. You can also swap out the salsa in this recipe in a 1 to 1 ratio with my favorite Homemade QUICK Enchilada Sauce to make them taco stuffed shells with enchilada sauce. 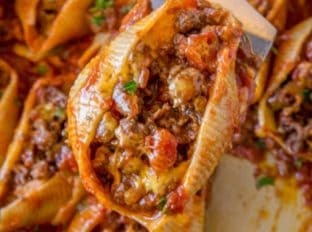 If you’re looking for alternate to the shredded cheese or to mix things up a little you can absolutely make the taco stuffed shells with velveeta or nacho cheese as well. Even better you could just double the shredded cheddar cheese and have the ultimate cheesy taco stuffed shells. Or if you want something a bit different you can also make my Mexican Stuffed Peppers with all the taco flavors but none of the pasta! Jumbo Pasta Shells: Make sure you buy these and not the large ones. Also, husbands may inadvertently think “large” is the right size…not saying mine did that! Jarred Salsa: Cuts the prep time down to just a couple of minutes and the flavors are still outstanding. Taco Seasoning: I’ve use my homemade taco seasoning recipe if you’d prefer not to use a packet. This is the packet I’d recommend if not using homemade. 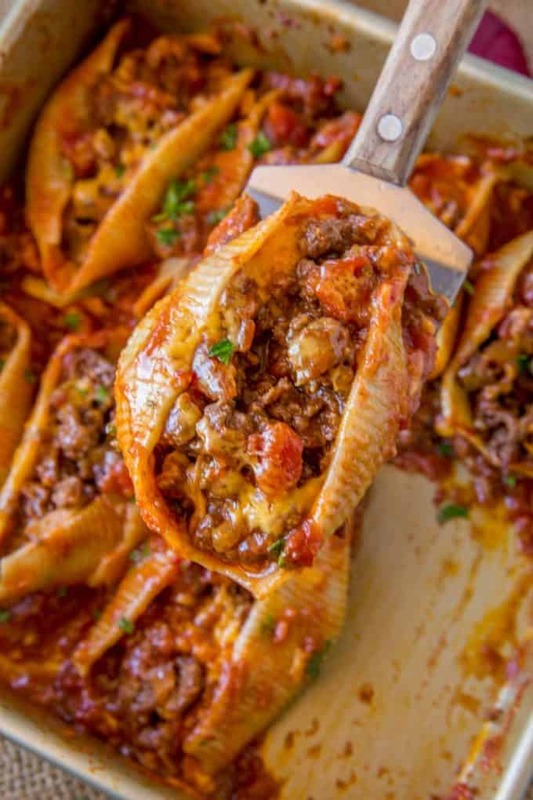 Taco Stuffed Shells made with jumbo pasta shells, salsa, cheese and taco meat are the perfect EASY weeknight meal that you can prepare ahead of time too! Cook the pasta shells in a pot according to the directions on the box and drain. Add the ground beef to the pot and brown well. Add the taco seasoning and water, stir and cook until water is gone. Stir in 1 cup salsa and 3/4 cup cheese. Scoop into the jumbo pasta shells and top with the remaining salsa and cheese. Bake in a covered pan for 15 minutes. 0 Response to "CHEESY TACO STUFFED SHELLS"